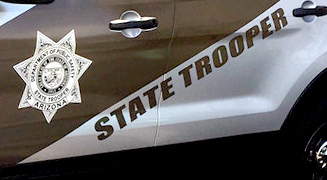 Home Tags Articles tagged with "State Route 347"
Arizona Department of Public Safety will have law enforcement focused on State Route 347 this week. Another patrol detail is set for Wednesday from 7 a.m. to noon, according to Sgt. Steven Sekrecki. He said participating agencies will be the Highway Patrol, Gila River Police Department and Maricopa Police Department. Though the detail is targeting speeders and aggressive drivers, officers will also ticket for any other violations they witness. In earlier details this year, DPS made 88 traffic stops in eight hours and handed out 106 citations to commercial vehicle drivers in another six-hour window. The Arizona Department of Transportation continues to gather comments for its proposed five-year construction program by reaching out to the public and communities statewide for their input on which projects should move forward over the next few years. The second public hearing for the 2017-2021 Tentative Five-Year Transportation Facilities Construction Program is scheduled for 9 a.m. Friday, April 15, at the ADOT Administration Building Auditorium, 206 S. 17th Ave. in Phoenix. The monthly State Transportation Board meeting will follow the public hearing. For this Tentative Five-Year Program, ADOT was able to recommend a few more expansion projects for Greater Arizona because of additional funding through the federal Fixing America’s Surface Transportation Act, as well as a Transportation Investment Generating Economic Recovery (TIGER) grant. These projects, aimed at enhancing key freight corridors in Arizona, otherwise would have remained in ADOT’s Development Program as projects not starting until six to 10 years out. Among ADOT’s suggestions to move forward on a quicker timeline are two Interstate 10 widening projects in Pinal County (segments at State Route 87 to Picacho Peak and Earley Road to Interstate 8), two widening projects along US 93 and the State Route 347 railroad overpass project in the city of Maricopa. The SR 347 project received a $15 million TIGER grant and a $15 million local contribution to add to ADOT’s $19 million commitment. ADOT’s proposal meets its goal of $260 million per year dedicated to preservation work, such as bridges in need of upgrades and pavement in need of repair. The 2017-2021 Tentative Program is available for public review and comment at azdot.gov/fiveyearplan, where a “how to read it” guide is available. ADOT welcomes feedback through Survey Monkey at surveymonkey.com/r/CJY36HY, email at fiveyearconstructionprogram@azdot.gov and by calling 1-855-712-8530. The comment period ends at 5 p.m. on May 30. The public comment period includes three public hearings around the state. The State Transportation Board will then make its decision in June about what will be in the final 2017-2021 Five-Year Program. Here are details for the two remaining public hearings and the State Transportation Board’s June meeting. The first public hearing was held in Oro Valley last month. June 17 at 9 a.m.: Board meeting in the City of Holbrook Council Chambers, 465 First Ave., Holbrook. A wrong-way driver was the cause of a traffic backup on State Route 347 this morning, according to the Department of Public Safety. An elderly male driver was traveling south in the northbound lanes but stopped just north of the junction with Maricopa Road. Traffic had already slowed as drivers tried to avoid a collision and morning commuters backed up in the northbound lanes around 6:30 a.m. Though DPS noted several collisions caused by the incident, the only injury reported was a motorcycle driver who apparently ran into the back of another vehicle. He sustained a non-life-threatening upper torso injury and was transported to the hospital.